It's New Year's Eve and the time to be bold is now. We're raising a glass (well, kicking up a heel) to end the year on a high and very fashionable note. Since this is our last women's footwear highlight for 2015, we're going all out with the gorgeous Sophia Webster Parisa Sandals. 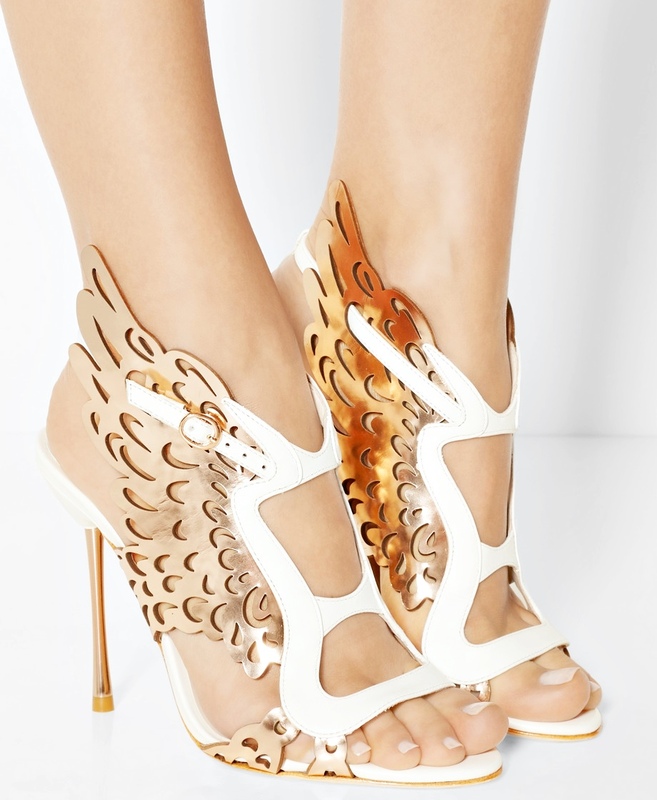 Available in white/rose gold, black/rose gold, and black/gunmetal crystal, you can't deny the star power of these intricately etched angel-winged sandals. 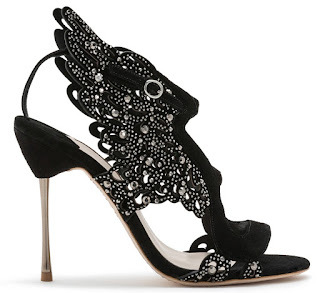 Like something out of a fantasy, the Parisa boasts gleaming metallic leather laser cut "wings" against a white leather or black kid suede upper, or large and small crystal embellishments on black kid suede. 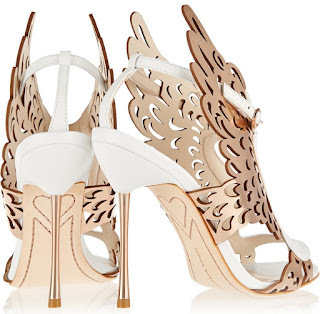 This jaw-dropping shoe also features cut-outs on the vamp, adjustable ankle straps, and a 4" pin-thin stiletto heel. 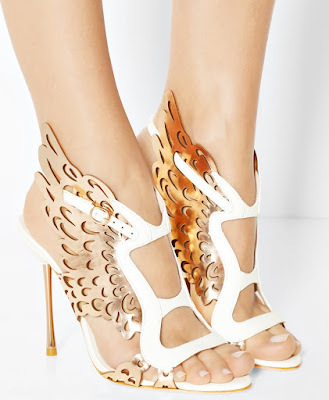 Drooling over these? 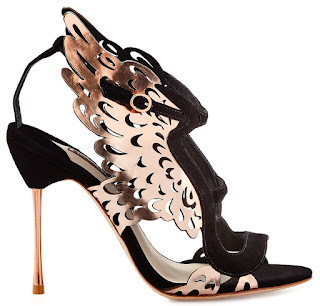 Snag the white/rose gold from http://www.net-a-porter.com for $750.00, the black/rose gold from http://www.saksfifthavenue.com for $750.00, and the black/gunmetal crystal from www.sophiawebster.com for $850.00. Happy New Year!